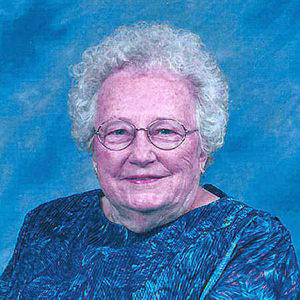 Donna J. Davis, 89, Willmar, MN, formerly Wahpeton, ND, passed away Sunday, November 18, at Bethesda Nursing Home, Willmar. The Funeral Service will be Saturday, November 24, 11:00 a.m., at Bethel Lutheran Church, Wahpeton with Rev. Jule' Ballinger officiating. Visitation will be Friday, from 5 PM to 7 PM with a 7 PM Prayer Service at Willow Creek Chapel, Wahpeton, and one hour before the service at the church on Saturday. Interment will be at Fairview Memorial Gardens, Wahpeton. Vertin-Munson Funeral Home is in charge of arrangements. Donna was born October 12, 1923 at Jackson, MN, the daughter of William L. and Grace A. (Johnson) Libra. She grew up and attended school in Heron Lake, MN, graduating Valedictorian of her class. She was united in marriage to Warren "Red" Davis on October 16, 1943. They moved to Windom, MN and in 1953 moved to Wahpeton. Donna worked in the Montgomery Ward office, was Secretary for the County Superintendent of Schools and later worked for NDSCS in the Housing Department. Her husband passed away August 4, 1990. Donna continued to live in Wahpeton until 2000 when she moved to Willmar. Donna was a member of Bethel Lutheran Church and was active with the church circle. She was a member of a Homemakers and a card club. She looked forward to family gatherings; especially the holidays and summer days at the lakes. Donna is survived by her four children: John (Sharon) Davis, Spicer, MN; Judy (Alan) Dahlman, Wahpeton; Jeffrey (Shelly) Davis, Fessenden, ND; Janelle Hoffarth, ten grandchildren, and 6 great-grandchildren. She was preceded in death by her parents, her husband Warren "Red", an infant granddaughter, Jessica Hoffarth, and a brother Bill Libra. Donna was always such a nice person. It has been years since I have seen her, but I can remember her from Bethel Church and being over at her and Red's house when Jeff and I were in grade school. My thoughts and prayers go out to the Davis family. Donna was always such a nice friendly person when she worked at NDSCS Housing Office. She was like a grandma to the students. Enjoyed having break with Donna upstairs in our little break room. Rest in peace Donna. Judy, Al and famiies - My thoughts and prayers are with you during this time of sorrow. She will be forever in your hearts.